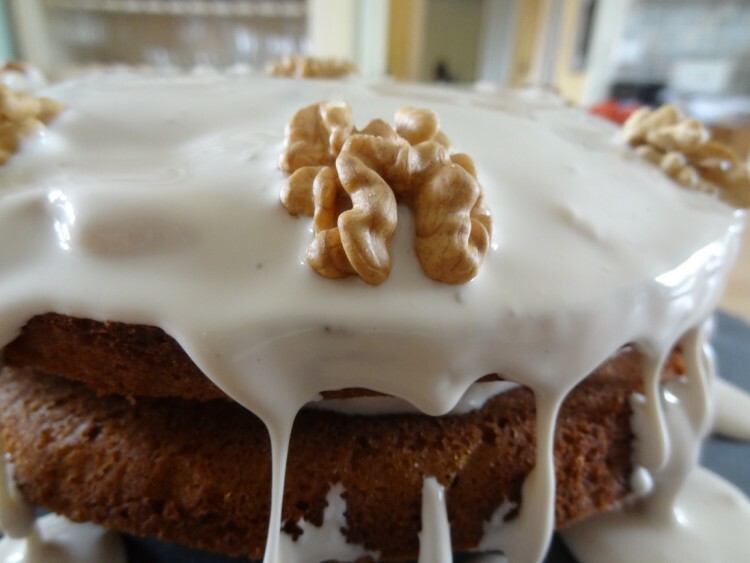 With hundreds of kilos of walnuts harvested every year at Les Crouquets, I’m always looking for ways to use them up….here’s a delicious cake which will take care of 80 g or so of walnuts. 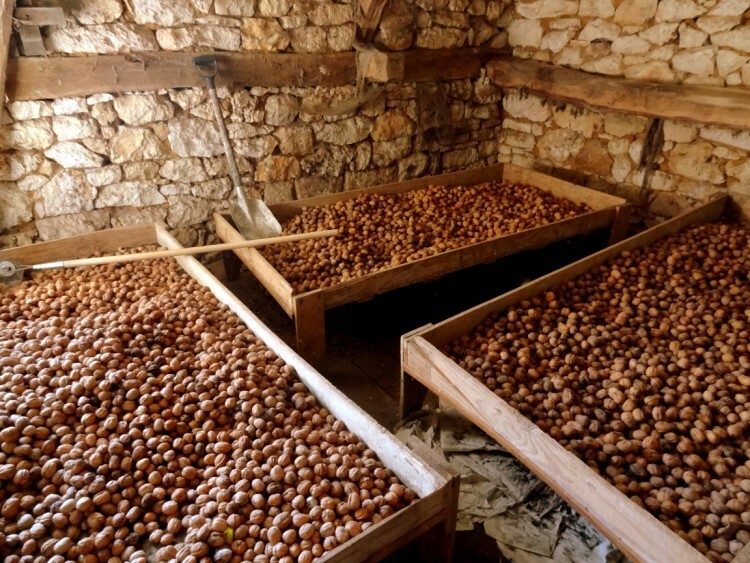 Ok I know I’d need to make hundreds of cakes to make even a tiny dent in the huge nut pile…. 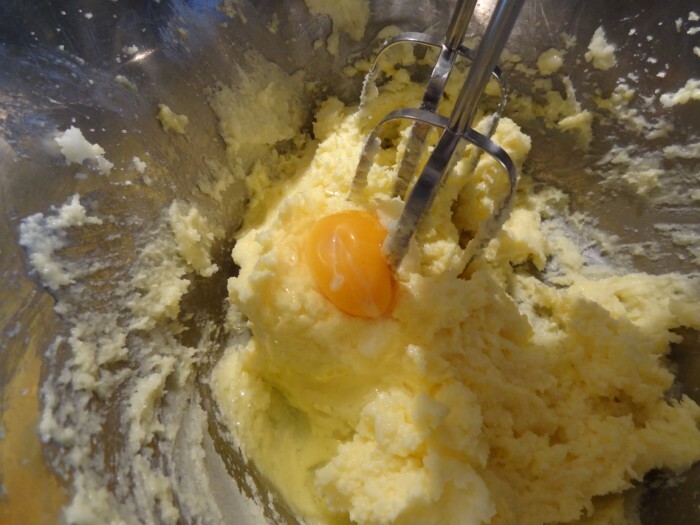 Put the butter & sugar in a large bowl and cream together until pale & fluffy. Beat in the eggs one at a time. 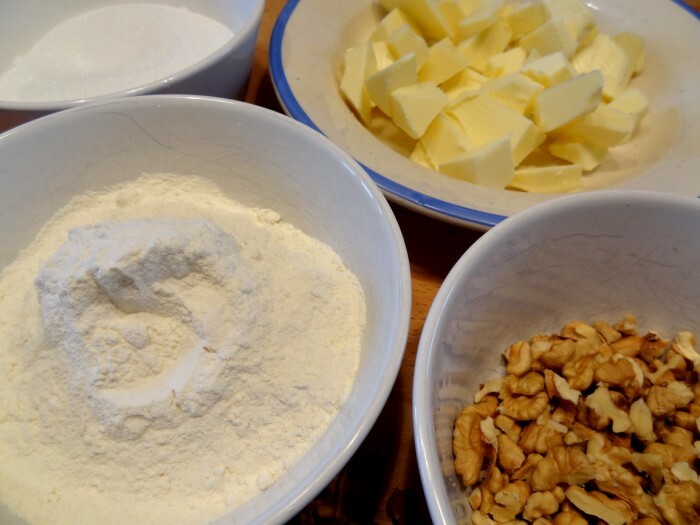 Sift the flour into the butter mixture and stir to combine. Fold in the walnuts and coffee. Divide the mixture into two greased & bottom lined ** 20 cm sandwich tins, level the mixture and bake for 20-25 minutes until golden. To make the frosting beat*** together the mascarpone, icing sugar & coffee. 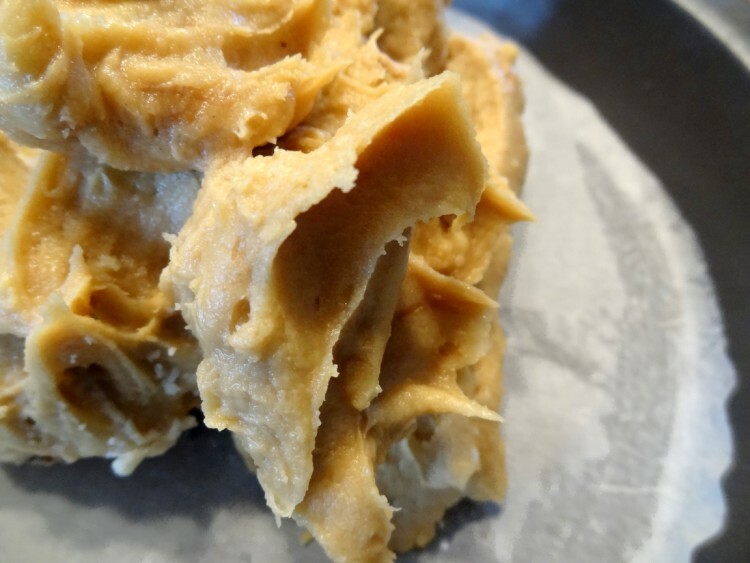 Spread slightly less than half of the mixture over one of the cakes, place the second cake on top & spread the rest of the frosting over the top . 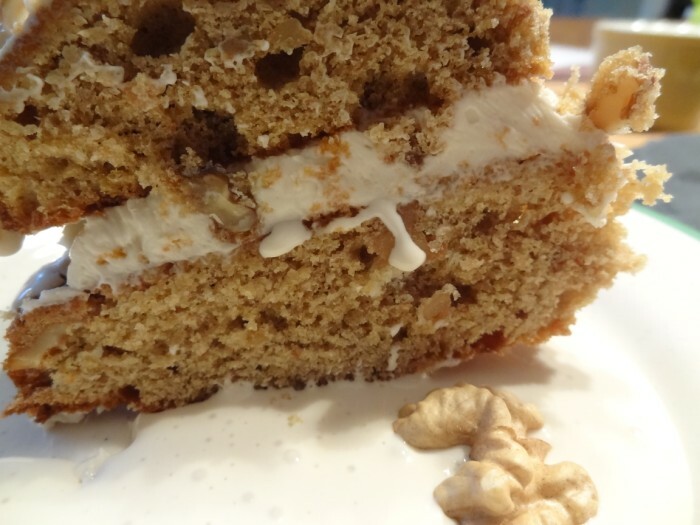 Decorate with walnut halves. * I never find the French Self raising flour gives good results so I always add some extra baking powder to my recipes. I can never remember if it’s too much or not enough raising agent which can make your cakes dense but this one was a bit heavier than I would have liked so obviously I didn’t get that right. *** The recipe says beat together the mascarpone & icing sugar. I did so quite zealously with the electric mixer and ended up with a lovely but very runny coffee sauce …luckily I had enough mascarpone left to make more for the filling ( mixing in with a wooden spoon this time!) but was forced to pour the sauce over the cake. Delicious but not exactly the professional outcome I was hoping for! Hoping for a lighter fluffier result next time but still very moreish! !